Convenient location to the airport. Good value for a basic hotel room. Walking distance to several good restaurant choices. Quiet place with a mountain view. Good communication with staff re:late check in. Clean, central location, nice shower, comfortable bed and good price. Location was fine, near airport and lots of good restaurants. The staff was nice and parking is easy. The room was tiny but sufficed for me and girlfriend. Thanks for everything! The room was small, but very clean. Tha bed was clean and fairly comfortable. The bathroom was clean and adiquit for two people. No fluf. Good parking in the back of the motel. We felt fairly safe in our room with the door locked. The hotel is close to the airport and provides late check in. 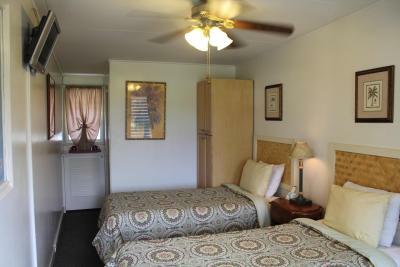 Good for a one night stay close to the airport and downtown Lihue. 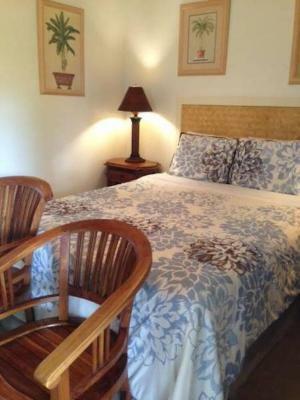 Great location to airport and walking around Lihue. We were staying in town for one day before heading north. Ate at Katsura Saumil and walked down to Nawiliwili Harbor. Walked to Kauai Museum. Close to Grove Farm as well. Cute and large room and bathroom. Excellent location...central to almost everything we wanted to do and minutes from the airport. Staff was awesome, and coffee available in the mornings. Lord starting he, and will definitely be back! The staff here was extremely friendly! 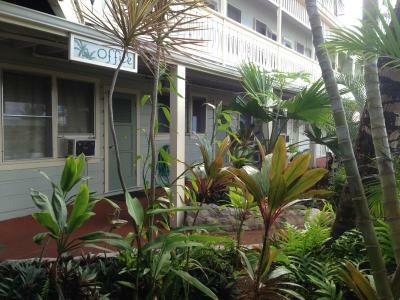 We stayed here for just one night when we landed in Kauai, and their friendliness was very much appreciated. Room was mostly clean, and is stocked with shampoo, soap and conditioner. Hotel is near a few food places which was convenient after our flight, and perfect for breakfast in the morning. Kauai Palms Hotel This rating is a reflection of how the property compares to the industry standard when it comes to price, facilities and services available. It's based on a self-evaluation by the property. Use this rating to help choose your stay! 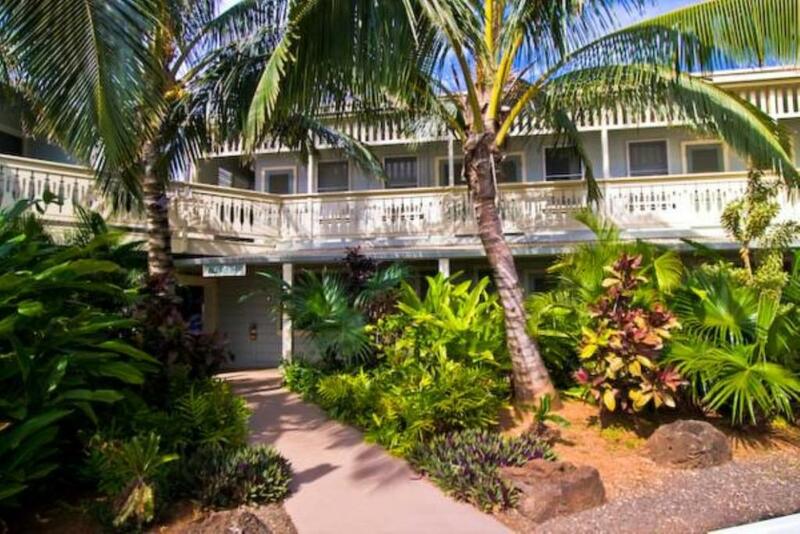 Kauai Palms Hotel is located right next to the Lihue Airport and one block from Kalena Park. 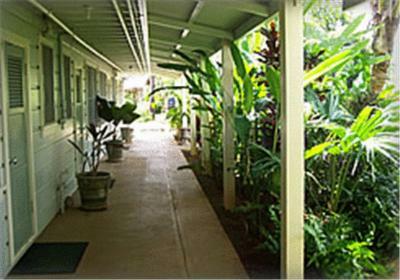 The hotel offers free WiFi in the lobby and views of the Kipu Mountains. 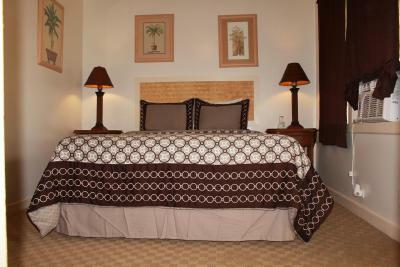 All rooms feature island style furnishings and nonsmoking rooms. 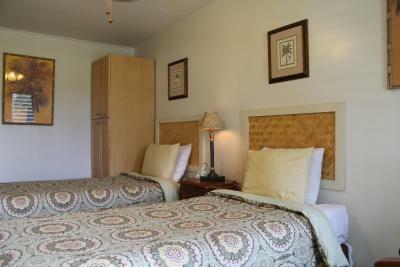 Each guest room at the Kauai Palms Hotel is equipped with a flat-screen cable TV and refrigerator. Select rooms offer air conditioning or kitchenettes or kitchens. 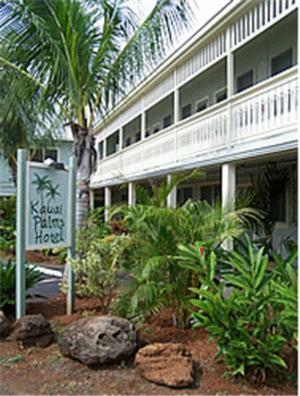 Guests at Hotel Kauai Palms can take advantage of the free on-site parking. Laundry facilities are also available. 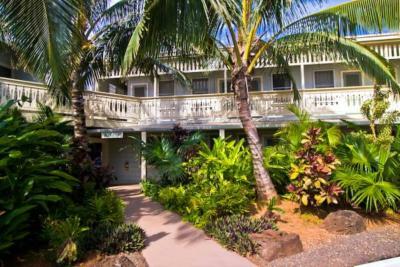 The Kauai Palms Hotel is located within one mile of the Kauai Lagoons Golf Club. 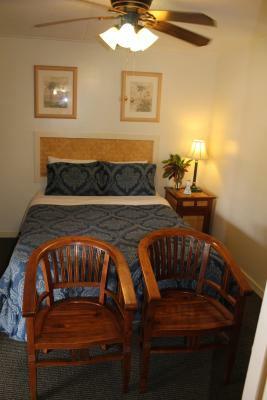 The hotel is also minutes from downtown Lihue where guests can find the Kalapaki Marketplace and Kaua'i Museum. Other activities include snorkeling, fishing, and surfing. 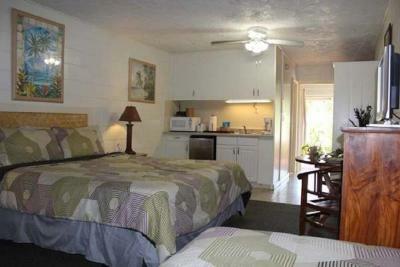 This property is also rated for the best value in Lihue! Guests are getting more for their money when compared to other properties in this city. When would you like to stay at Kauai Palms Hotel? Offering a private entrance, this studio includes cable TV and an private bathroom. Featuring mountain views, this room provides cable TV and a private bathroom. House Rules Kauai Palms Hotel takes special requests – add in the next step! Kauai Palms Hotel accepts these cards and reserves the right to temporarily hold an amount prior to arrival. Tiny bathroom, not enough electrical outlets. The room was a sight for tired eyes.. Long day ,flying from Toronto and so happy we were there to rest and feel the lovely tropical air. We walked to Dani's from there..a great early breakfast restaurant. Staff at Kauai Palms were very friendly and helpful! The hotel is close to the airport too. There's nothing to dislike unless the visitor is expecting something fancier or a bigger bathroom, or more remote location. It's clean and comfortable. Central location makes it a perfect starting point for destinations around the island. Local foods within walking distance. The staff is friendly and helpful and the room was spotless. Very basic, small room with noisy air conditioner. Our room was next to the stairs and therefore quite noisy when people came down the stairs. Convenient location close to airport. Staff gave clear info on how to access room on late arrival. Room was clean and fine for one night. The bed was too firm and then need new pillows. The value and coffee in the morning. Conveniently close to airport as we arrived late, very clean and quiet, perfect for tired travelers! Room was very small as was the bathroom. There were not enough power outlets in convenient locations. All 3 outlets were at floor level and there was no outlet in the bathroom. Bed was very comfortable. Bathroom was clean. Was very noisy. We were in corner room on the lower floor, next to the stairs and the office. Could hear loud talking late into the night, and every person that went up the steps, which was 1/2 of the motel. Walls were thin. Highly Recommend earplugs.